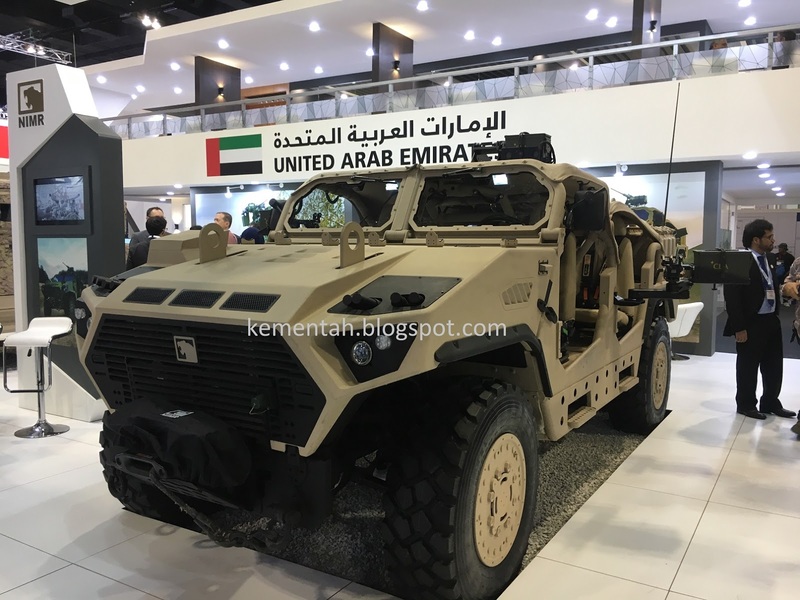 This NIMR Ajban Special Operations Vehicle (SOV), seen here at last week's Defence Services Asia show in Kuala Lumpur, has stayed behind in Malaysia for field and road trials that could see the vehicle clock some 3,000km. The in-country trials are part of the Malaysian Army's search for a new SOV for its crack Grup Gerak Khas special forces regiment. Senang Diri understands that GGK is looking to add a small batch of "less than 20" specialised light 4x4, heavily-armed for light strike missions, to its MT line. 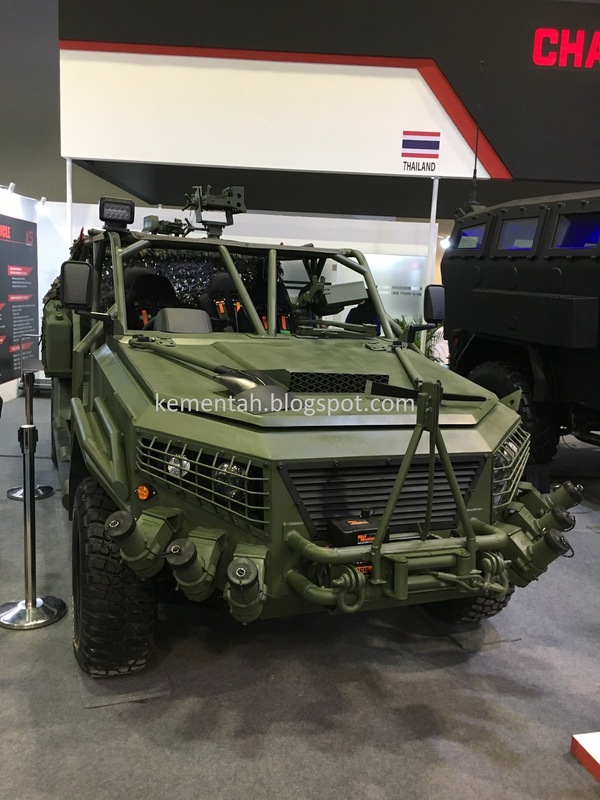 The GGK requirement explains the presence of at least four competing designs at DSA 2018. 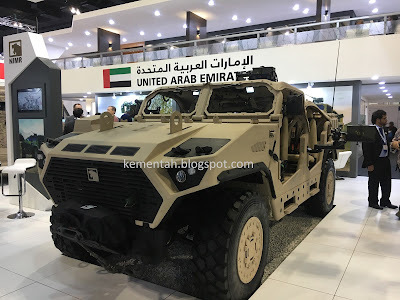 These are the NIMR Ajban, which comes from the United Arab Emirates, and three designs from Malaysian companies. Two of the Malaysian contenders, the Kembara Suci SOV and the Cendana Auto SOV are in their prototype stage. The third Malaysian platform is the Weststar GK-M1 SOV. Cendana Auto SOV prototype. Despite its 4950mm overall length, the SOV is said to have a turning radius of 8m - about the same as a Malaysian-made Perodua Kancil car. 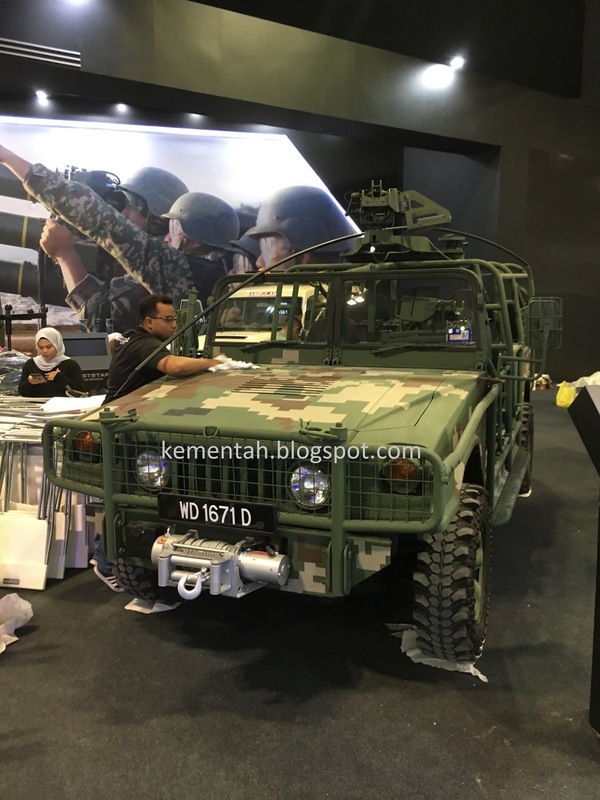 Weststar GK-M1 SOV seen undergoing preparations for DSA 2018 before weapons were added. The windscreen was hinged down for the show and covered by a camouflage net. Its Kuala Lumpur numberplate was also removed for the show. GGK is said to be looking for a heli-portable vehicle that can sustain itself for around two weeks outfield. The concept of operations for GGK's SOV might see such 4x4s airlifted into the area of operations by helicopter or pre-deployed by road during a period of tension. The SOV would be inserted into areas astride likely routes of advance or main supply & evacuation routes used by aggressor forces. The SOVs would use their high speed to redeploy in the AO. Such vehicles would be tasked to observe and report aggressor movements to higher headquarters. Being heavily-armed, the SOVs might also be tasked to interdict soft targets such as the logistics vehicles that sustain aggressor forces, or other targets of opportunity. 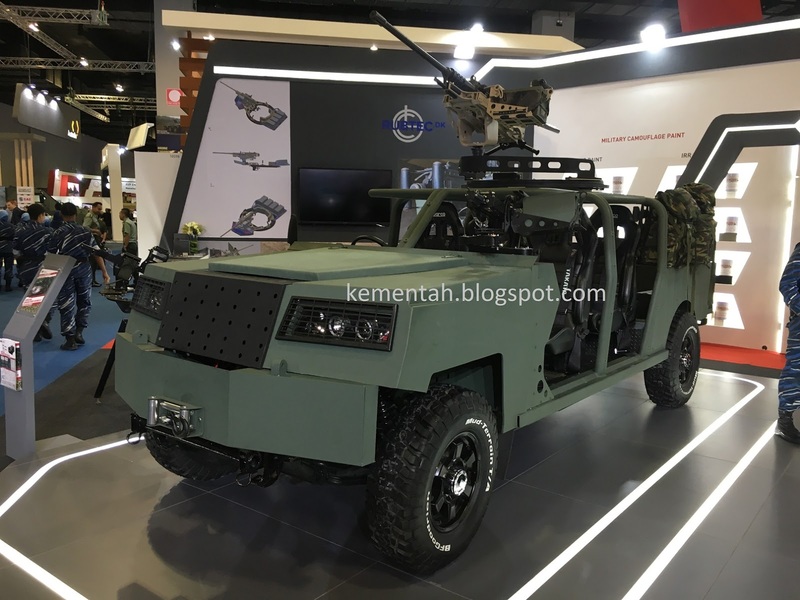 Senang Diri understands that while the NIMR Ajban will be the first of the SOVs displayed at DSA to undergo field trials, the Malaysian stable of SOVs should be put through the same evaluation after the Malaysian General Election (9 May'18) and the end of the Muslim fasting month in mid-June. This time interval would give the Malaysian companies the time needed to fine tune their prototypes before GGK has a go at the vehicles.